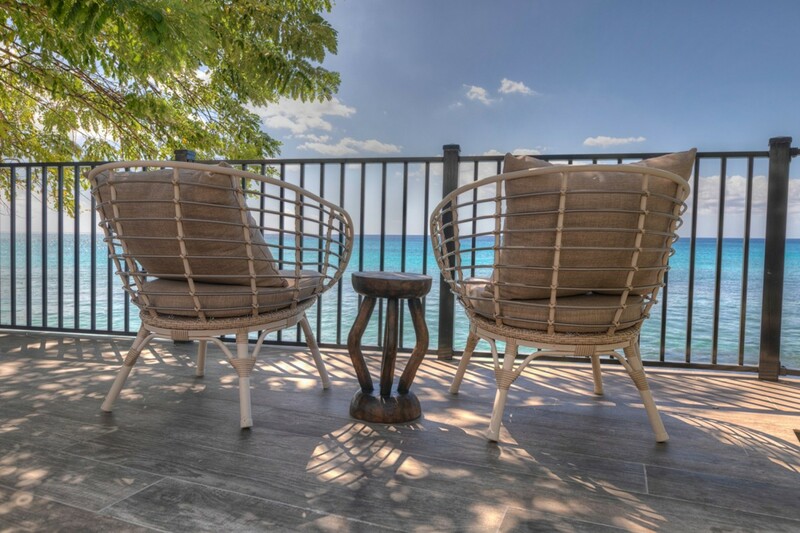 The Reef is a prestigious 4-bedroom villa that is perched overlooking the Caribbean Sea in Barbados. Perched along the sought-after west coast of the island, this luxury villa is based near the vibrant town of Holetown. The villa is based overlooking the beach and the turquoise waters of the sea in a private and serene location. 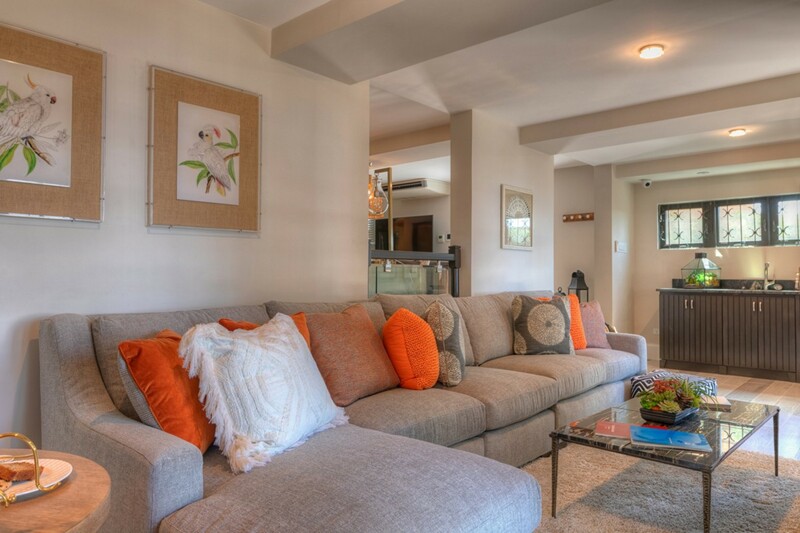 Accommodating a total of eight guests, The Reef provides the perfect Caribbean living space for you and your loved ones to enjoy the beautiful island and the nearby activities in St James. 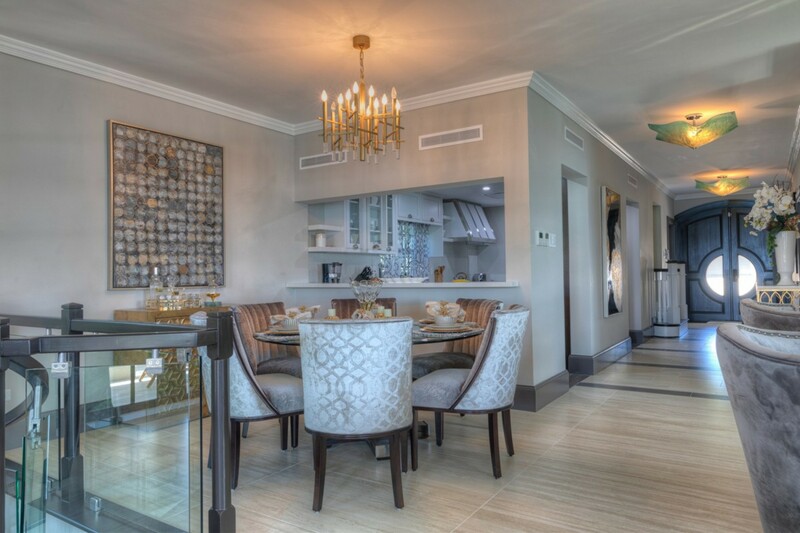 The Reef Villa is specifically based along a coastal road and is within a short drive to some of the best five-star restaurants St James has to offer. The location offers a variety of chic luxury boutiques, landscaped golf courses, and vibrant bars and nightclubs. The villa itself is perched overlooking the Sea and below the property is a small tidal beach. The beach provides snorkeling opportunities and access to the silk-like turquoise waters of the Caribbean. Indulge in a refreshing morning swim or simply relax on the terrace as you listen to the waves roll in. Based along the West Coast this location also ensures magnificent sunsets each evening. Making your way into this modern villa you will first notice its overall sleek architectural design. Inside the large wooden, double doors you will initially be greeted by the open hallway, leading you into the modern and casual dining area. The kitchen and dining room blend together in an elegant and open space, flooded with light and laced in intricate artwork and paintings. The room features central air-conditioning, statement chandeliers, and full entertainment area. The circular dining table seats six guests and is based beside the contemporary kitchen. 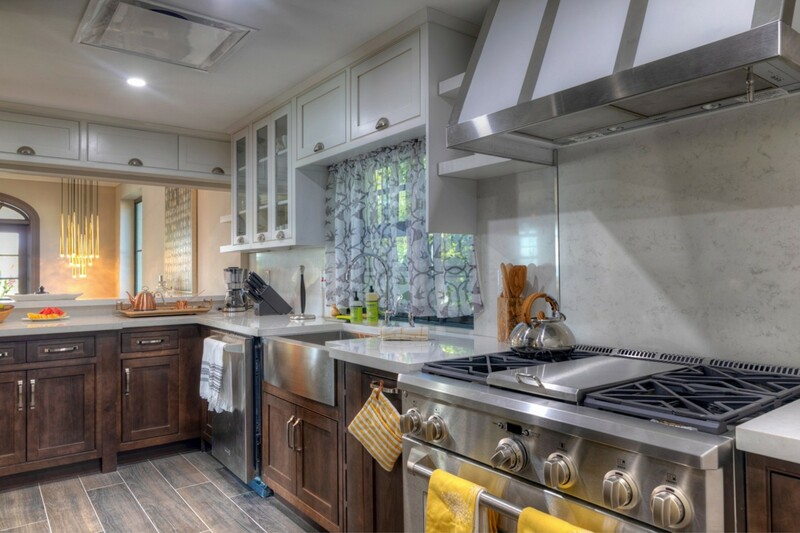 The kitchen is a chef’s dreams as it is fully equipped and features everything you will need for the duration of your stay. Your professional chef can also cater to your meals providing you with two delicious meals per day. 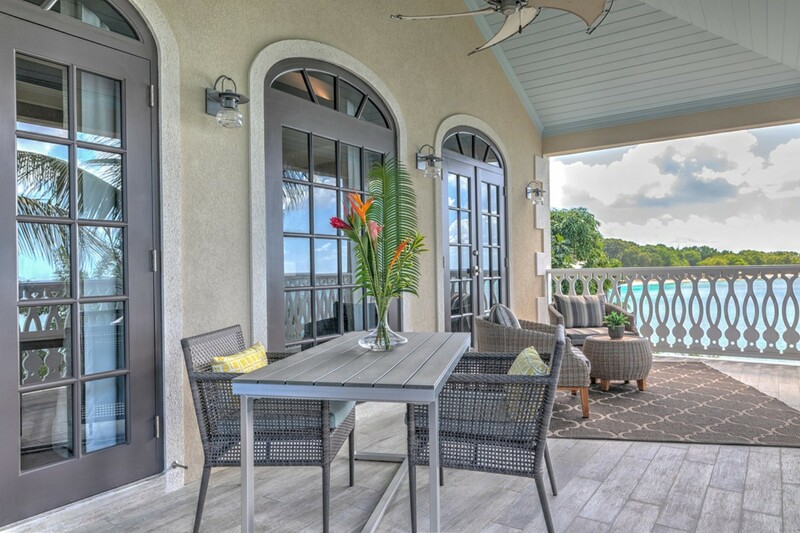 This chic living and dining area opens out onto the private covered verandah via the French doors. 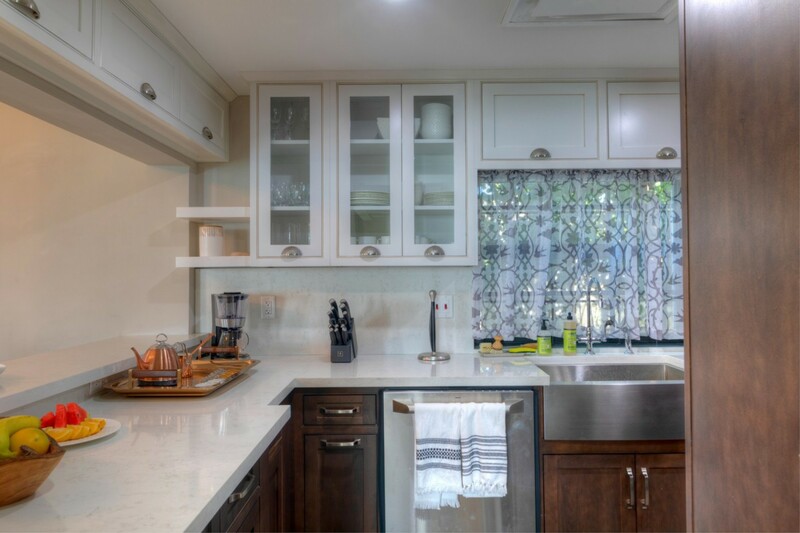 The seamless transition between interiors and exteriors enables you to experience an authentic Island lifestyle. Dine alfresco during your stay as the verandah includes an additional outdoor dining area catering for eight guests while overlooking the panoramic views of the bay. 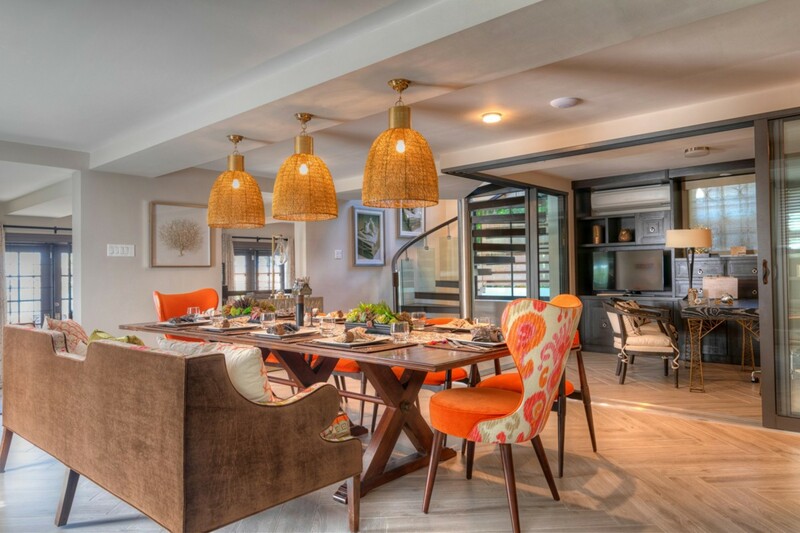 The first floor features an elegant spiral staircase that leads you down to the ground floor as you descend into this modern, warm living space you will notice the rich wooden features, floors and vibrant orange hues woven throughout the space. 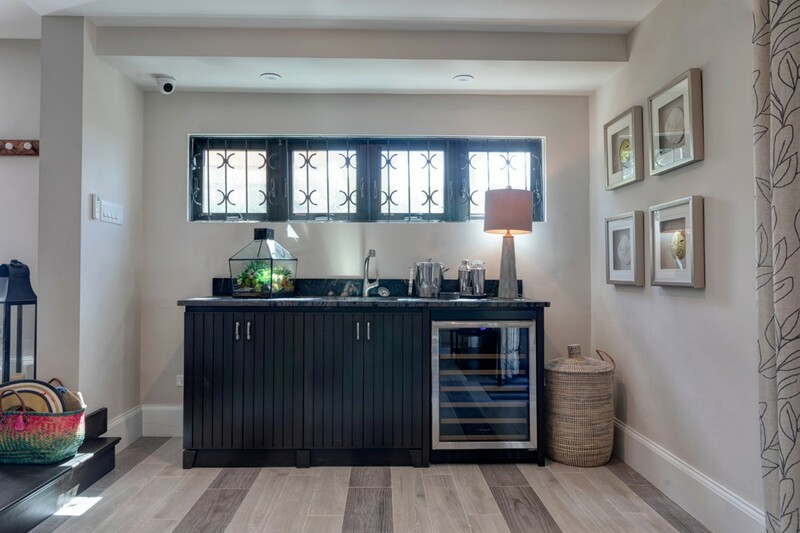 This floor includes a self-enclosed office that seamlessly blends with an exquisite dining area with seating for ten. The room opens out onto the large oceanfront terrace and instantly takes your gaze out over the endless shades of the blue sea. The crystallized water glimmer under the sun’s rays. Dine under the midnight sky, lined in stars as the sounds of the ocean lull you into relaxation. 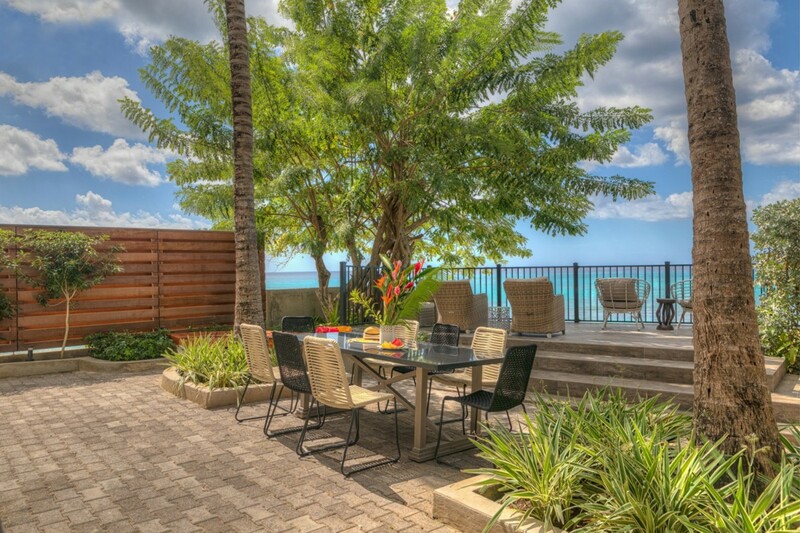 This spacious, open-air cliff-side terrace is ideal for entertaining your loved ones and guests. Light up the barbeque for some smoky treats at lunch or toast some marshmallows over the crackling flames in the cool evenings. The terrace is fully enclosed for security and has a private gate and stairway leading down to the powdery beach sands of the bay below. 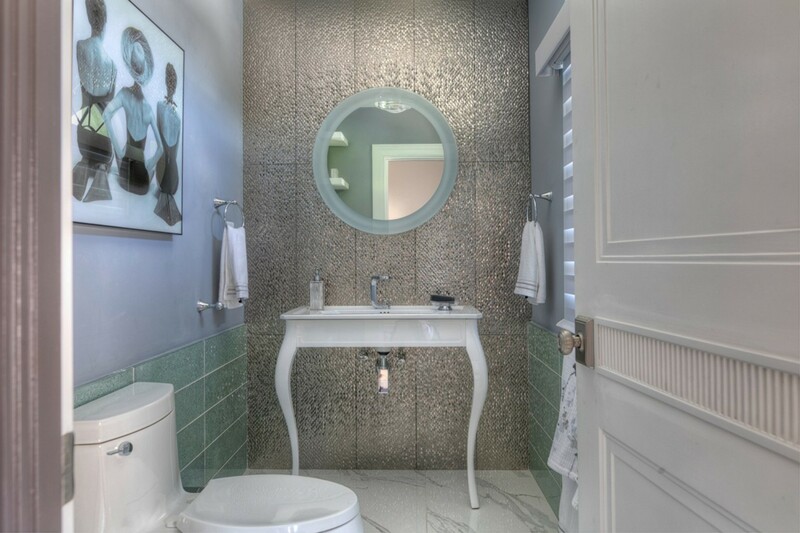 The Reef has a total of four luxurious bedrooms, each boasting of their own private one-suite bathroom. 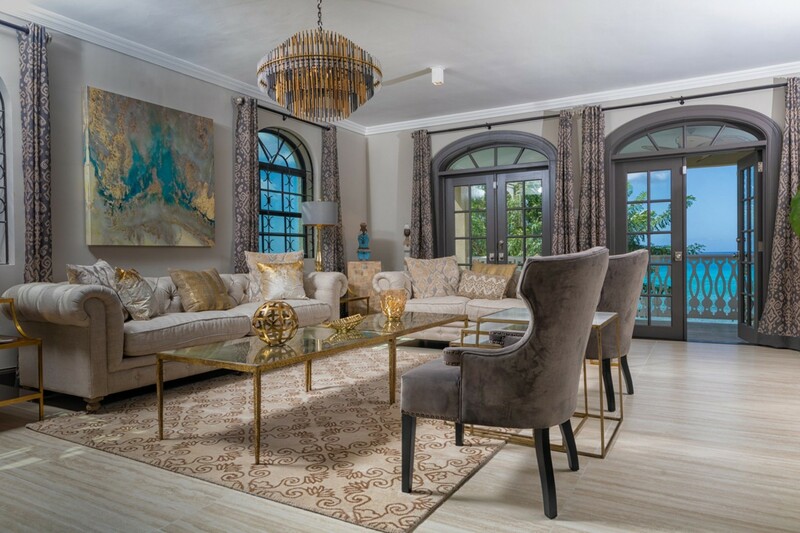 The room is laced with tasteful artwork, double lined curtains to keep out sunlight and lavish furnishings, creating a relaxed and peaceful room. Each bedroom is fitted with fresh linens and towels for the duration of your stay. 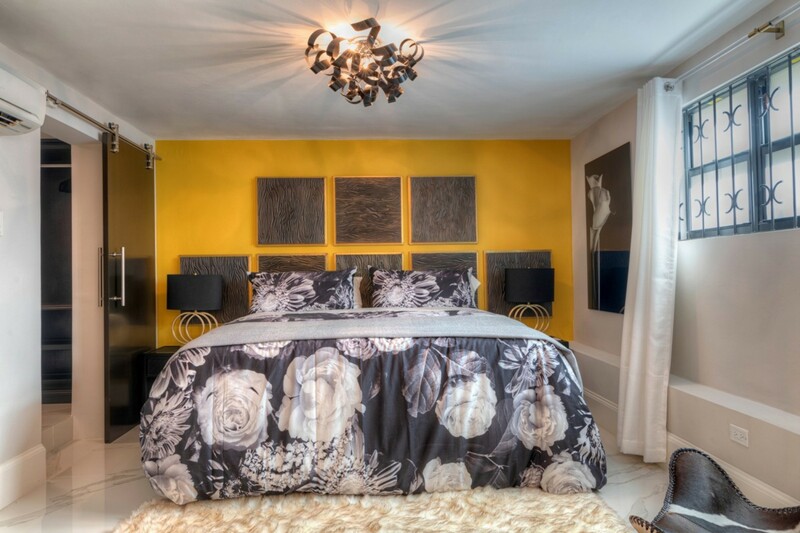 The master suite is situated on the first floor and features an exquisite king-sized bed. 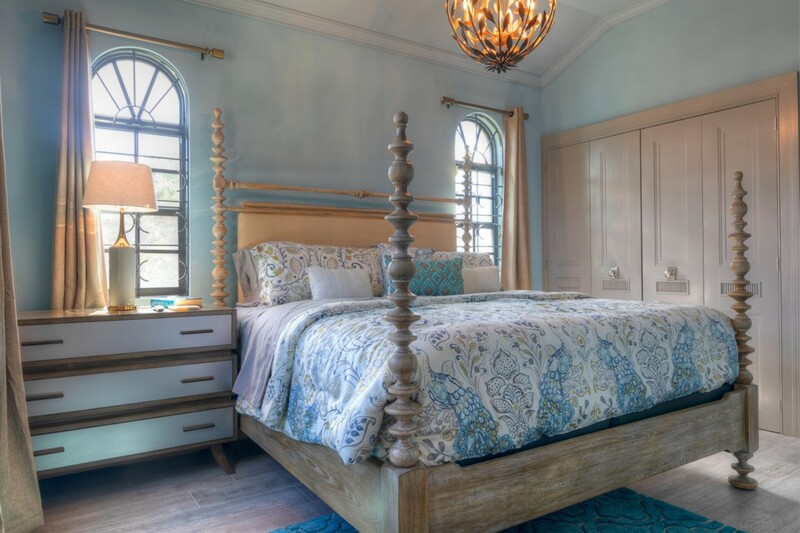 The bed is crafted from a repurposed church door as the headboard. 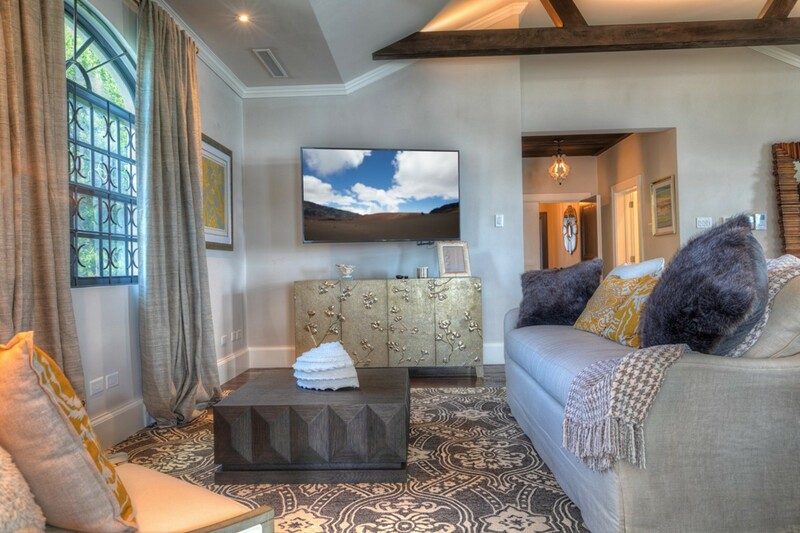 The master suite is laced in finesse with elegant wooden beams suspended from the ceiling and lit up with warm recessed lighting. The large room indulges in its own private patio fitted with outdoor lounge chairs and overlooks the shimmering sea. The room includes its own lounge area with a high-resolution TV mounted on the wall opposite and a private en-suite bathroom. 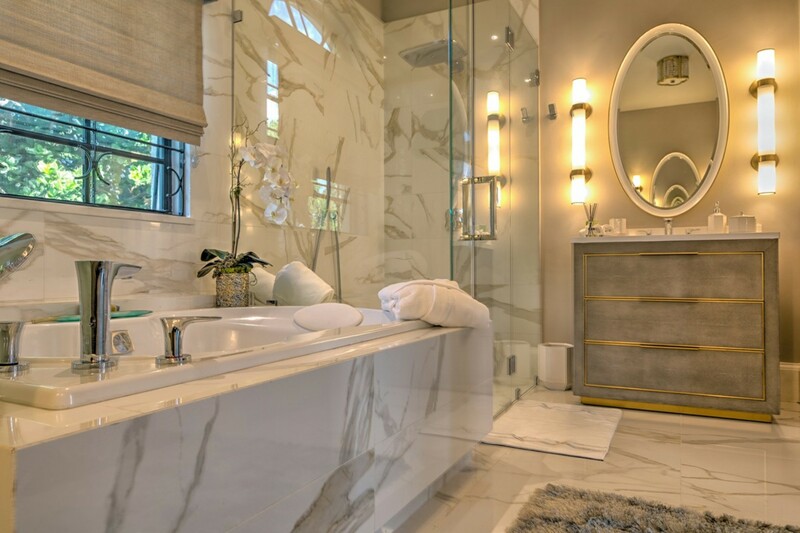 The elegant marble bathroom features a large bathtub, shower and beautiful vanity. There are two more king-sized bedrooms based on the first floor. 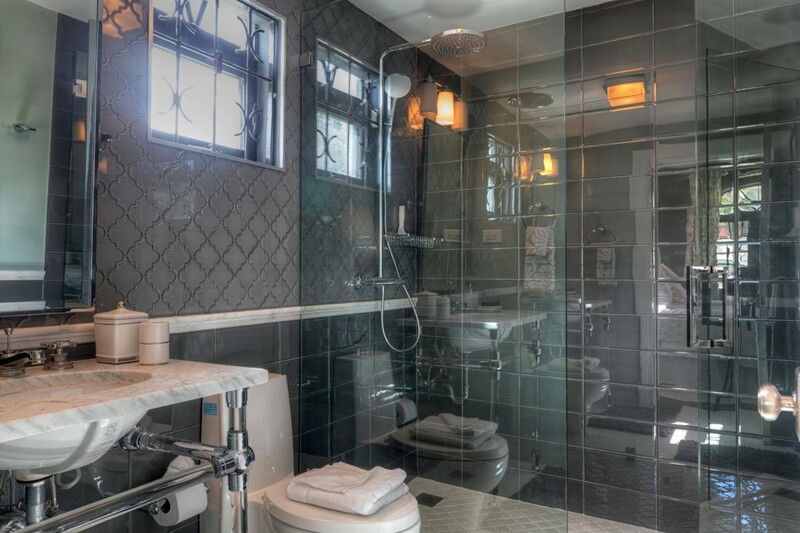 Both rooms provide private en-suite with showers and elegant double or single vanities. The fourth bedroom is based on the ground floor and features two plush twin beds. Bedroom 1 Master: Luxurious King-sized Bed, Private en-suite Bathroom, Large Jacuzzi Bathtub, Shower, Double Vanity, TV, Walk-in Closet, Access to Private Patio, Outdoor Seating, Panoramic Ocean Views. Bedroom 2: Luxurious King-sized Bed, Private en-suite Bathroom, Shower, Single Vanity, Built-in wardrobe. Bedroom 3: Luxurious King-sized Bed, Private En-suite Bathroom, Shower, Double Vanity. 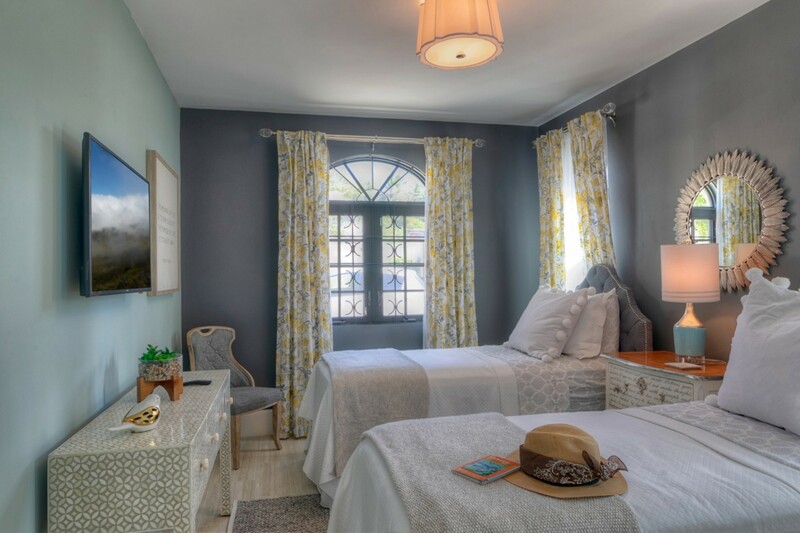 Bedroom 4: Comfortable Twin beds (2), Private en-suite Bathroom, Shower, Single Vanity, Walk-in Closet, TV. • Cook - Prepares two consecutive meals per day. Guests choice of breakfast and lunch, or lunch and dinner. 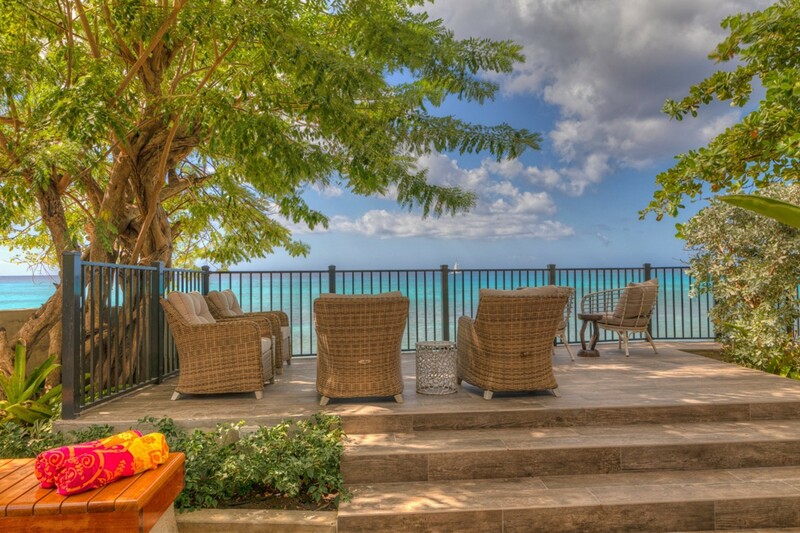 The Reef is perched overlooking the Caribbean Sea in St James, Barbados. 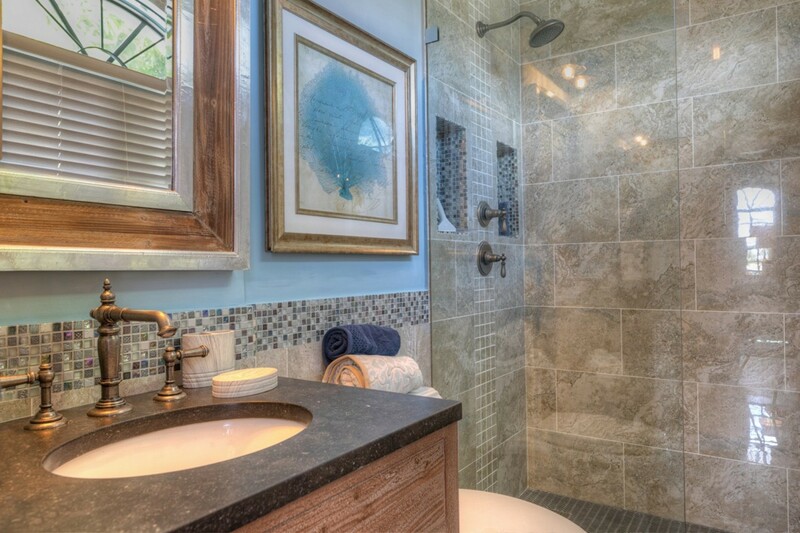 Perched along the west coast of the island, the property is located near the vibrant Holetown area. The villa is based overlooking the beach and the turquoise waters of the Caribbean Sea in a private and serene location. The Reef is specifically based along a coastal road and is within a short drive to some of the best five-star restaurants St James has to offer. The location offers a variety of chic luxury boutiques, landscaped golf courses, and vibrant bars and nightclubs. Barbados is a vibrant coral island that is nestled in the tranquil waters of the Caribbean Sea. It is characterized by its crystalized turquoise seas, sun-soaked powdery beaches, and lush tropical landscapes. Coral reefs fringe the coast and provide you with some of the best snorkeling locations. The land is graced with soft, cool trade winds keeping the temperature at a very comfortable level. Barbados is popular for its vibrant and unique culture, full of fascinating people and friendly locals.